Hoi An ancient town is well-preserved under Unesco and it admittedly beautiful and picturesque town! With lanterns scatter around the old quarter to canal boat trips. Hoi An is located on the central coast of Vietnam. The tourism in the coast line of Vietnam is rising in the past years. Therefore, you will find many constructions and development happening. The former port city is a melting pot with mix of eras and styles which are reflected in the architecture and historical monuments. You must have seen pictures of hundreds of lanterns lighting up in the streets and on the river. That is Hoi An, Vietnam. Planning to do some travel around the country, check some recommendation where to go and see in Vietnam. 1. Japanese pagoda bridge This bridge is the symbol of Hoi An town, if not the lanterns. The bridge was first constructed in 1950s by the Japanese community to link it with the Chinese quarter. The bridge was build with a roof so it can protect people from rain and sun. Note that there is a small temple within it as well as two sets of statues with a monkey and a dog. 2. Fukian Assembly Hall This is the most beautiful temple in Hoi An. The Fukian Assembly Hall was created for people from Fujian, China to meet up and socialise whilst living or visiting Hoi An. It was built around 1690 with the main gate added much later. Inside of the assembly hall, you can find the Jinshang Golden Mountain temple. 3. Cantonese Assembly Hall This is another famous building you will find in Hoi An. The Cantonese Assembly Hall was build in 1885 by Chinese who came from Guangdong. It was a place for Chinese fishermen and traders to rest and exchange goods. 4. Quan Cong Temple Quan Cong temple is a small temple dedicated to a Chinese general who is worshipped as a symbol of loyalty, sincerity, integrity and justice. It was built in 1653 with Quan Cong's statue, made on a wooden frame located on the central altar at the back of the sanctuary. 5. Hoi An night market What more to say to these Asian night markets. Come here to explore the vibrant nightlife on a street. Discover the variety of dishes and products you can buy as a souvenir home. 6. Museum of Folk culture Artifacts depicting daily local life of the past on display in a 150-year-old Chinese trading house. 7. An Bang beach The nearest beach to Hoi An town is located about 5-6 km away from the ancient town. There is also another beach called Cua Dai nearby. Alternative beach locations can be found in Da Nang, which is about 30 km away. 8. My Son Sanctuary Not far from Hoi An, you may visit My Son Sanctuary. It is a cluster of abandoned and ruined Hindu temples, constructed between 4th and the 14th century AD by the kings of Champa. The temples are dedicated to the worship of the god Shiva, known under various local names, the most important of which is Bhadreshvara. 9. Cham Islands The Cham Islands constitute a group of 8 small islands of Quảng Nam, which form a part of the Cu Lao Cham Marine Park, a world Biosphere Reserve recognized by UNESCO, in the South East Asia Sea in Vietnam. 10. Basket boat trips Hoi An is located nearby the sea and rivers and apart from discovering the local area by foot, you may also go for a boat trip. You may see that in this area, there are a lot of basket boats. The thung chai, or “basket boat”, traces its history back to the French colonial era. Hemispherical and woven from bamboo, the thung chai is a variety of coracle – a small, circular boat traditionally used in parts of the British Isles as well as India, Iraq, and Tibet. 11. Visit Da Nang city Da Nang city is a coastal city in central Vietnam, 40 minutes drive away from Hoi An. It is known for its sandy beaches, Ba Na Hills, Dragon bridge or the new Golden bridge that is everywhere on social media. Vietnamese food is just amazing, whether it is a rice dish, noodle dish, salad or anything. It is fresh and healthy and that is why it is so popular among all of us. Once you are in Vietnam, you will see it is all about food. You'll see street food around every corner and you will find yourself snacking all the time. Hoi An is located in a central of Vietnam. Hence it has number of significant dishes for this region. Whilst you are there, take a note to try these following dishes: Cao Lau, Quang Noodle, Grilled pork, Banh Xeo, White rose (banh bao vac) or black sesame sweet soup. Below is the list of number of coffee shops and restaurants where you can go and enjoy these delicious food or sip some Vietnamese coffee. There are many options in Hoi An, as it is a growing popular place, the number of options of accommodation is endless. From budget hotels to resorts. Have a look at Coco River Resort & Spa if you are seeking for open air space to stay to immerse yoursef with the nature and authentic Vietnamese life. Located 3km from the ancient town, this resort will offer your shuttle buses to and from the city, to the beach, local boat trips as well as the priceless views on Hoi An riverside. Alternatively, check Almanity wellness resort for spa inclusive stay, where you can relax, find a journey to inner self through complimentary spa, sauna or yoga sessions. The resort is located walking distance to the ancient town, making it convenient to relax as well as to go explore on foot. The nearest airport to Hoi An is in Da Nang city which is about 40 minutes away. The taxi from the airport to Hoi An will cost you about £15 one way or alternatively, check if your hotel is offering airport shuttle bus pick ups and drop off. 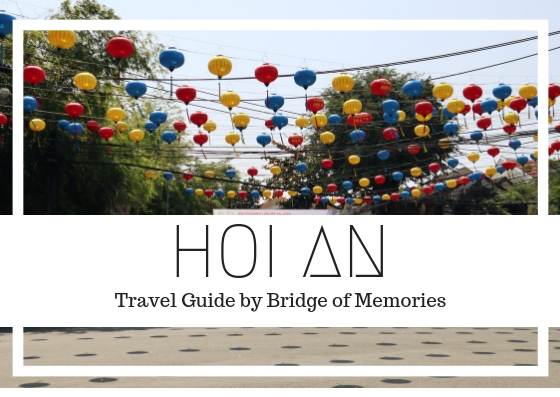 Once you are in Hoi An, it is easy to get around by foot. Everything is happening pretty much in the ancient quarter. If you are eager to explore the outskirt of the town for more authenticity or to get to the beach, hire a bike to get around. Alternatively, get a taxi with meters. The ancient old quarter is prohibited from cars. Scooters are allowed only during certain times. Therefore, if you are looking for a taxi, go outside of the old quarter. 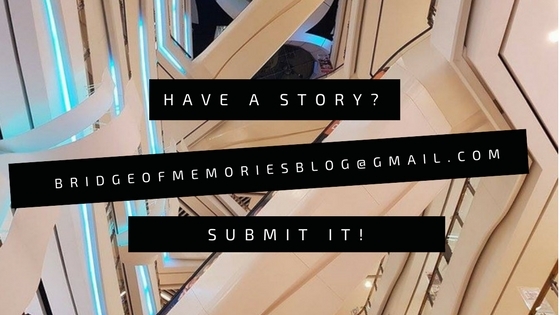 Have a travel story to share?